1. We will continue to reduce the amount of plastic we use. 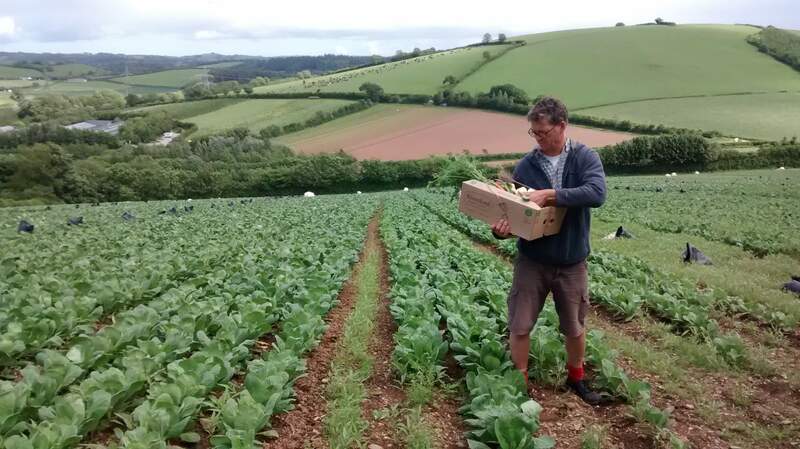 Our research suggests that our veg boxes already use less than a quarter of the packaging of a major supermarket. We think we can reduce this further to nearer a tenth in the winter, when produce is typically less perishable. 2. By 2020, 95%+ of the single-use plastic we do use will be home compostable (fully degradable in 12 weeks under the temperatures typical of home composting). After polling our customers, it turns out that a staggering 83% of you home compost. We will ask those who can home compost to do so, and those who can’t to return all packaging for us to compost at the farm and use to grow our next crops. 1. Anthropogenic climate change is unquestionably the biggest environmental threat our planet faces. We must not allow the plastic debate to detract from this. Reducing plastic use does nothing to address climate change; in some instances, it can make it worse. We need pragmatic policies that balance all environmental impacts. 2. It is impossible for citizens or companies to instigate good packaging practices while every local authority has a different approach to kerbside collection. Of all the ‘recyclable’ plastic used in the UK, only a third is actually recycled. We desperately need an intelligent, long-term, national policy on what materials will be recycled, composted and incinerated or landfilled. In the current vacuum, effort is being wasted on ill-informed company policies and headline-grabbing claims that will deliver little of value. To abandon policy to individual choices and market forces is an abdication of responsibility and a failure of government… Time for action, Michael Gove.